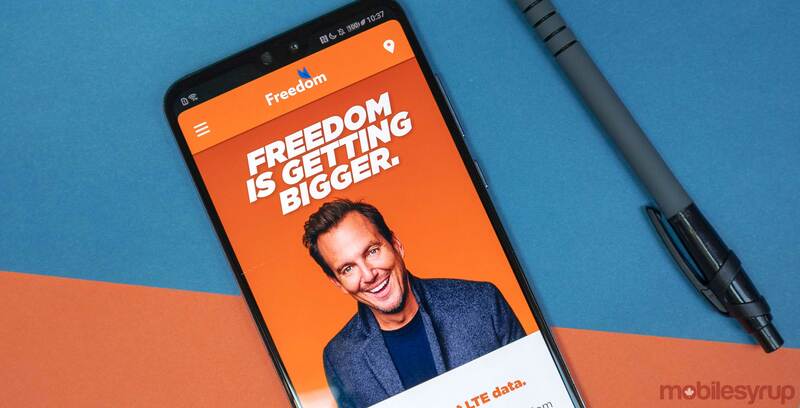 Freedom Mobile has extended its wireless coverage to more locations in Ontario, including Pembroke, Belleville, Cobourg, Trenton, Brockville and Cornwall. To celebrate the launch the carrier’s retail locations in these six towns are offering a 10GB Big Gig plan with Canada-wide talk and text for $27.50 for the first six pay periods. This is a 50 percent discount on the regular $65 10GB plan, plus if users sign up for Freedom’s Auto Pay Digital Discount, they get an additional $5 off. This brings the total price down to $27.50. After six months the plan will cost subscribers $60 if they continue to use Auto Pay. People in these six towns have until March 31st, 2019 to take advantage of the deal at their local Freedom Mobile retailer. Pembroke – Walmart at 1108 Pembroke St East. Belleville – Quinte Mall and King George Square. Walmart at 264 Cloverleaf Dr.
Trenton – Walmart at 470 2nd Dug Hill Rd RR #4. Brockville – Brockville Crossings and Walmarts at 1942 Parkdale Ave and The Mobile Shop at 1972 Parkdale Ave.
Coburg – Walmart at 73 Strathy Rd. Cornwall – Freedom store at Cornwall Square and Walmart at 420 Ninth St W.